Electric Indigo - 5 1 1 5 9 3. Vinyl LP, CD. Bleep. Easily one of the most important artists operating within techno today, Electric Indigo releases her debut album 5 1 1 5 9 3 via Monolake's Imbalance Computer Music. Standing as the first non-Robert Henke produced material to be released on the imprint, Electric Indigo's album combines her many years of experience in both working within, producing and DJing some of the most cutting-edge sounds techno has ever known. For those of you who are unfamiliar with the work of Vienna born artist Electric Indigo real name Susanne Kirchmayr, here is a quick recap. Electric Indigo has been djing since 1989 and moved to Berlin to work behind the counter at the legendary Hard Wax store between 1993 and 1996, truly pivotal years when you consider the original 1 to 9 release run of Basic Channel records were released, alongside key Maurizio and the earliest movements of Rhythm & Sound and Main Street (produced and cut with the basslines resonating through the walls and floor below) Having also in 1998 founded female:pressure, a vitally important network and database for female, trans and non-binary artists within electronic music and digital arts. 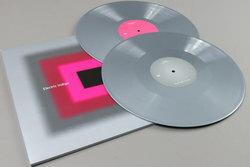 So as you can probably tell, all of the above alongside releasing some truly boundary-crushing 12"s since her first slab of wax landed in 1993, 5 1 1 5 9 3, the debut Electric Indigo album is very much an important milestone for both Electric Indigo as an artist but also techno as an entire genre. What is instantly noticeable about listening to the album is just how much it really fits into the ICM world of acutely dilated, precision led electronica-techno. 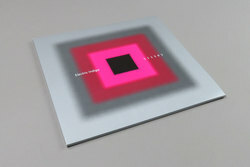 Taking the same, each sound perfectly poised within the sequencer approach to production that marks Monolake out as one of the most experimental artists within the scene. Each and every track on 5 1 1 5 9 3 is built up here with a truly next level, hyper gleaned surface, yet by no means some sort of exercise within robotic constructions, when you look closely an unmissable human reflection gazes back from within the cold as ice sounds captured. 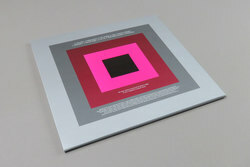 This is due to Electric Indigo's well-placed sonic usage of twenty different peoples vocals, most notably Jennifer Cardini and Etapp Kyle, which add a fresh layer of human construction to each tracks metallic grid. 5 1 1 5 9 3 is both an incredibly dynamic and physical release which we urge you to experience not just on your laptop speakers or headphones, this is music to experience loud and too really lose yourself within. It will of course do the damage in the right selecta's hands, yet staying true to the label that is releasing its roots within the associated Basic Channel family of labels, Imbalance Computer Music, 5 1 1 5 9 3 offers some deeply meditative listening experiences, ones that will perfectly unwind your mind, both within the 3 am eternal avenues of "the 'floor" and also for the louden up now home listening crews. Crafting an album's worth of loop-based electronic music that does both of these things is a hard job for any artist no matter who they are, yet here Electric Indigo has achieved it with both a style and grace that is as elegant and free-flowing as it is dark, deadly and above all else skillfull.